Are you passionate about mountains but tired of always having to load maps? Just download the new Andorra active tourism app. We offer a variety of hiking trails, via ferrata or rock climbing, canyoning, mountain bike paths, snowshoes ... And many more options allowing you to get the best out of winter and summer in Andorra! The Andorra active tourism app allows you free access to several open air routes, with monitoring of detailed offline maps and GPS available without an internet connection. Choose your preferred activity, the route you wish to follow and you will receive on your screen a complete dossier with a brief description, a gallery of images, duration, distance, route profile, difficulty of the journey, altimetry, and weather forecast. Open the itinerary map and start enjoying the activity. Use the "Path finder" function for directions if you feel lost. You will visualise an augmented image allowing you to find the location of the peaks and summits closest to you. If you need help, press SOS and you will obtain your geolocation as well as the phone number of the Principality’s emergency services. The app also contains useful information about traffic and the weather, as well as useful advice and phone numbers to help you plan your activities. Consult the section about what you need to be careful about when on the mountain or visualise the country’s mountain activity stations live on the webcams. Create your profile, and carry out as many activities as you wish according to your requirements. 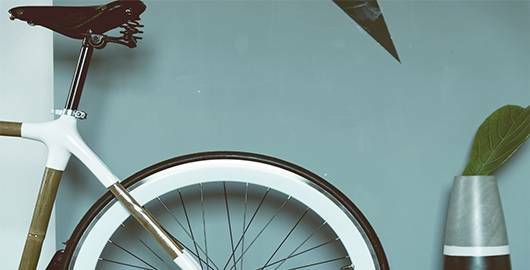 This will allow you to keep or discard all the alternative itineraries you created – whatever you wish. Compare with other users of the app to see who is more active. Discover the mountain activities you can do with our professionals. 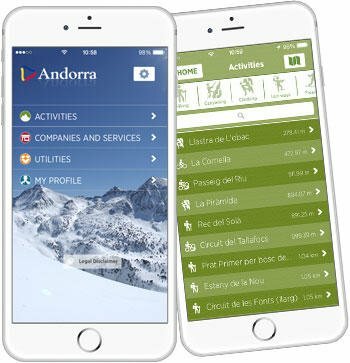 The app will facilitate contacts and the services you need to plan your mountain activities in Andorra.